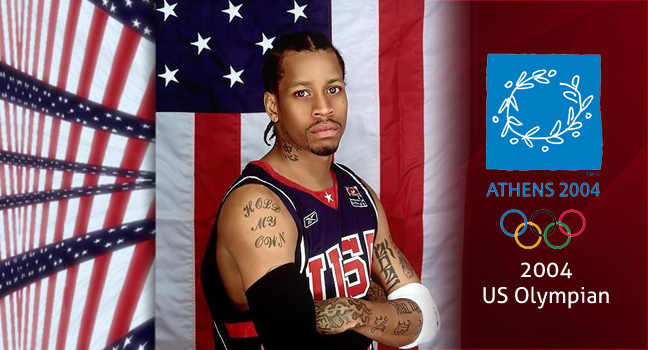 Allen “BubbaChuck” Iverson is often known for his hard demeanor, his edgy personality and for the way he played every basketball game like it was “his last”. 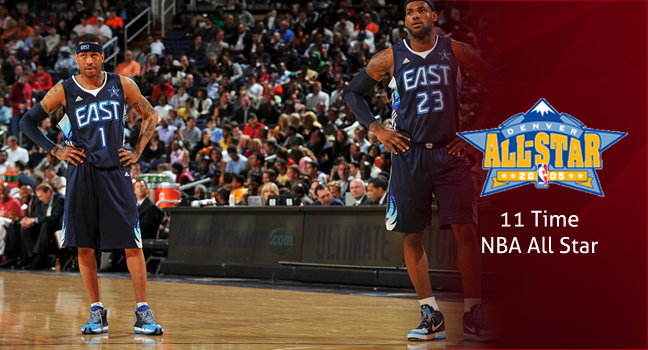 A skinny kid hailing from one of the rough parts of Virginia was able to find peace of mind on the hardwood. Making his name at Bethel High School, he began his legacy showing signs of greatness whenever having the basketball in his hand. In high school, he lead his team to a state championship in both basketball and football in the same year. In 2003, his high school, Bethel High School in Hampton, VA retired his jersey; one of the first to be raised high in the Bruins gym. Playing collegiately at Georgetown the country began to see his passion and hard work that everyone remembers of him today. Iverson averaged a school record 23.0 in his two year tenure at Georgetown. He was named first team All-America at the end of his sophomore season and was also a two time Big East Defensive Player of the year recipient. 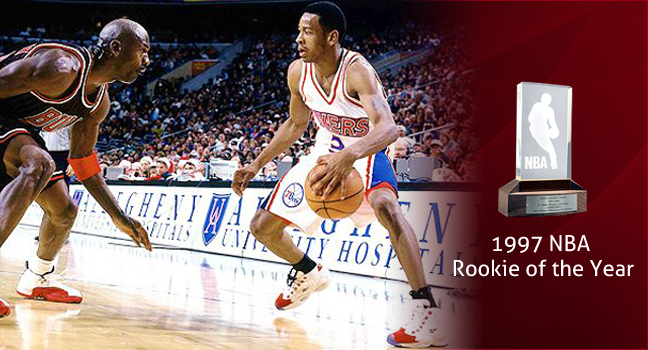 He was also named Big East Rookie of the Year his freshman season. 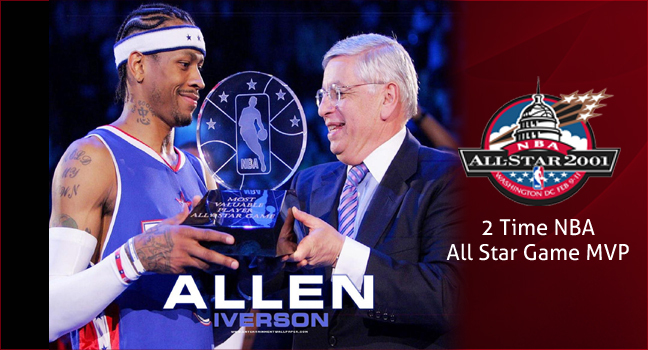 Professionally he was able to accomplish major goals that many believed he wouldn’t be able to obtain. 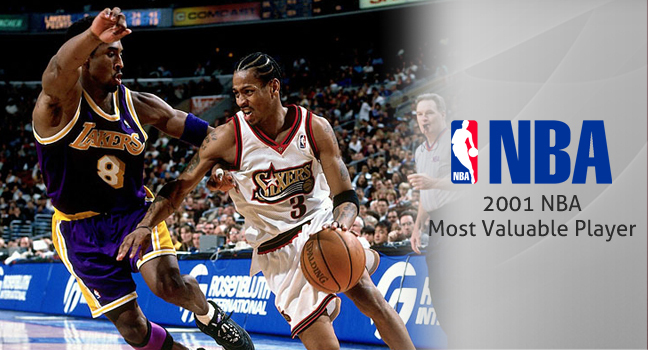 Some of those including a Most Valuable Player award in 2000-2001, Rookie of the Year (1996), 4 scoring titles, 10 All-Star appearances along with 2 All-Star MVP awards. 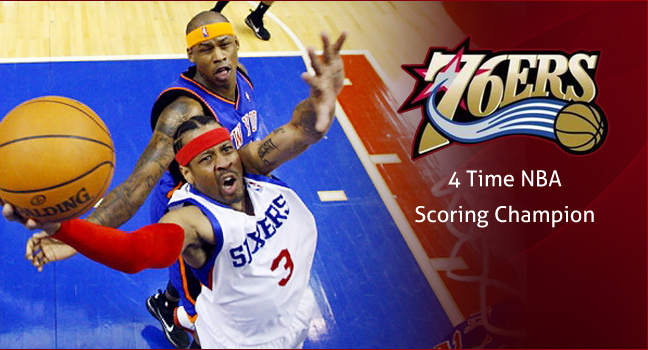 Iverson averaged a blistering 26.7 points for his career and was considered one of the best guards in the NBA history. Known for his acrobatic and volume scoring ability he was regarded pound for pound one of the toughest player to step on the hardwood. 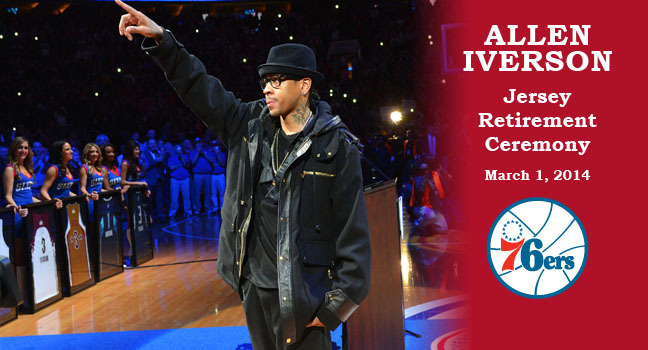 Iverson defeated many odds in his NBA career making a lot acceptable for some of the current players of the league today. 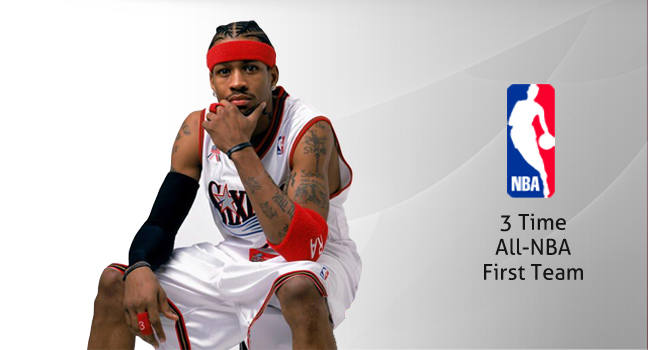 Culturing changing the league in many ways, Iverson will go down as a major trend setter and innovator for his affect on the game. From his infatuation with tattoos and continuing to his preference for baggy clothes followed a generation that came behind him and sought to do all he did the way he did it. 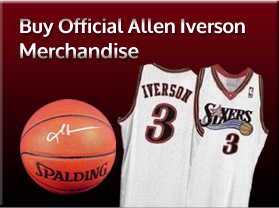 But what’s interesting to note is that Iverson was just being Iverson. 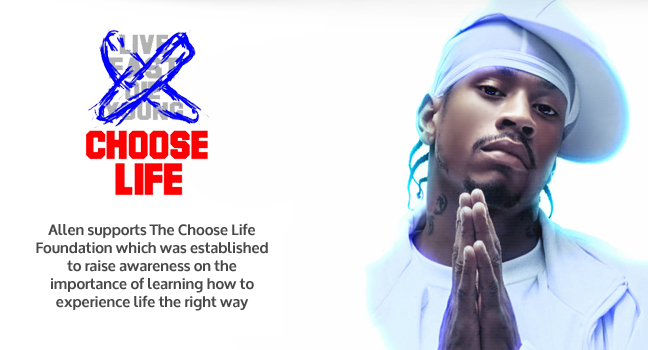 He preferred corn rows to his cuts after a few road trip mishaps, he chose baggy clothes because they were more comfortable, he wore an arm sleeve after a few too many injuries, he wore headbands to keep sweat from running down into his face and he used his 30 plus tattoos as a means of expression for the adversity he overcame when he made it out of the hood and onto the worlds stage as one of the best to play the game.